Marie Cécile Thijs is a Dutch artist with a distinctive signature. Her portraits are still lifes and her still lifes become portraits. Objects become characters. They move away from their daily destination, away from time and space. That provides intriguing creations, where elements like tranquility, dynamics and sometimes also humor meet. In her work the unusual is natural. Photographs of Marie Cécile Thijs - in terms of light and color - are reminiscent of the Golden Age. The old masters in painting are a major source of inspiration. At the same time her work is totally contemporary. She is specialised in staged photography, and created the series White Collar, Food Portraits, Cooks, Horses and Human Angels, which are still in progress to this day. For the serie White Collar (since 2009) she photographed an authentic seventeenth century ruff collar from the collection of the Rijksmuseum Amsterdam, which she later processed in her portraits using digital techniques. Marie Cécile Thijs gained fame with her autonomous work. In addition, she has portrayed many writers, politicians and artists. 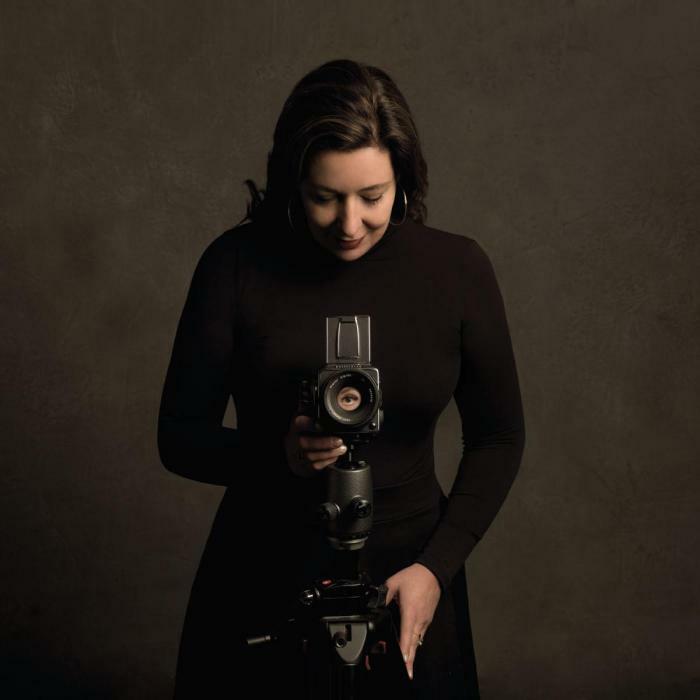 She has been fascinated by photography since her youth, but began her career as a lawyer. In her late twenties, she rediscovered the camera and a few years later made the shift to life as a photographer. "For me it was love at second sight," says Marie Cécile Thijs. Meanwhile, she has many exhibitions and has received international awards. In 2014 she won the first prize in the International Photography Masters Cup with her photograph ‘Chickpeas’. In 2010, the photograph ‘Girl with White Collar at Table’ was selected for a photo prize by the curator of the Museum of Contemporary Photography in Chicago. Her work is included in several museum collections, among those are the Rijksmuseum Amsterdam and Rotterdam Museum. Marie Cecile Thijs had her first retrospective in Museum aan het Vrijthof Maastricht in 2015. Also her work has been exhibited at TEFAF Maastricht and Art Miami in the same year. In 2016 she was part of the exhibition Dutch Identity in Museum De Fundatie Zwolle. Also her photographs were exhibited in the EU 2016 paviljon in Amsterdam on the occasion of the chairmanship of the European Union as part of the selection of the National Portrait Gallery. Most recent she took part in the Exhibition 'Beauty and the Beast' in the Museum of Photographic Arts in San Diego and the exhibition 'Hemels Rembrandt' at the Rembrandt Tower Boardroom, Amsterdam. SmithDavidson Gallery hosts the solo exhbition 'Argentum' by Marie Cécile Thijs at the Amsterdam gallery in 2016. In 2018, some of the iconic Food Portraits by Marie Cécile Thijs will be present during the exhibition "WE ARE FOOD - OVER DE KUNST VAN VOEDSEL" to be held at the Jan Cunen Museum from 25 February to 16 September. The work of Marie Cécile Thijs is included in the permanent collection of Rijksmuseum in Amsterdam, The Netherlands, the Musée National d'Histoire et d'Art Luxembourg in Luxembourg, and the Museum of Photographic Arts MOPA in San Diego, USA.